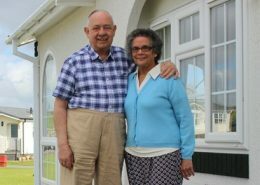 Mr and Mrs DeaconPart exchange assistance. 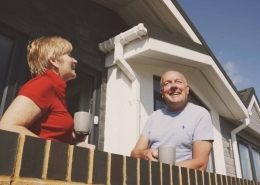 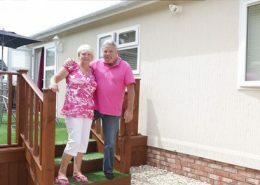 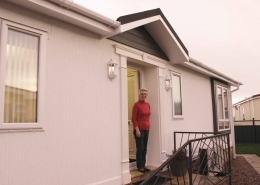 When unforeseen medical circumstances forced Derek Deacon to take early retirement, he and his wife were keen to downsize in order to clear their mortgage, and also wanted to move to a single storey property, so they started looking at park homes. 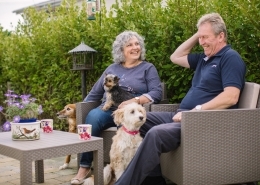 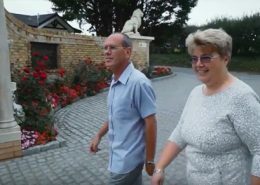 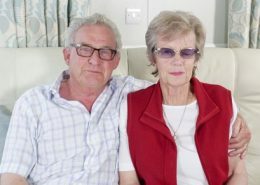 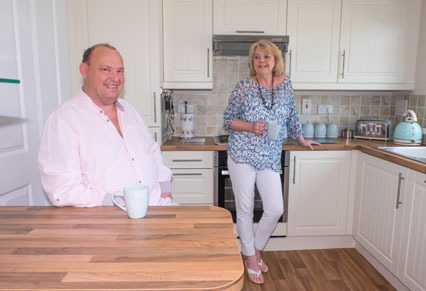 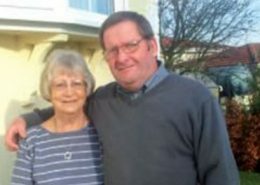 Seeing an article in a park and leisure home magazine led Derek to enquire about Quick Move Properties’ property part exchange service and resulted in what Derek and his wife Gill now describe as the best move they’ve ever made. 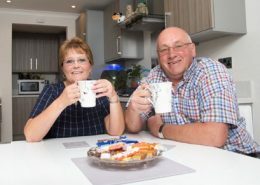 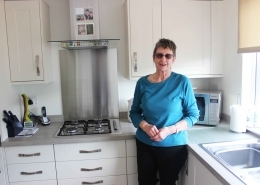 “It took just over four months, from start to finish, because we wanted to be able to spec our new home with certain extras and adaptions that we needed as I am disabled, but we were never under any pressure to move before it was all ready. 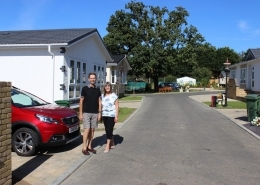 “The team at Quick Move Properties were always polite and helpful and I always felt that they had our best interest at heart…we couldn’t have asked for more, and we are very, very happy with both the park and our new home.